The first Bucks Prop Fest will take place on Thursday 6th June at the Aylesbury Waterside Theatre. Take a look at the walks, talks and awards that have been announced. We are sponsoring the CSR Award at this year’s Bucks Business Awards, taking place on 9th October 2019 at the Aylesbury Waterside Theatre. 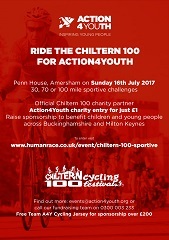 If you haven’t yet entered – what are you waiting for! 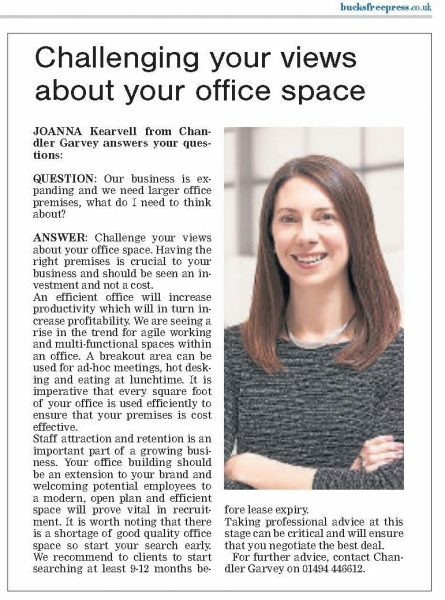 Joanna Kearvell, Divisional Director, Head of Occupier Services at Chandler Garvey, answers your property related questions in the Bucks Free Press monthly Talking Business section. 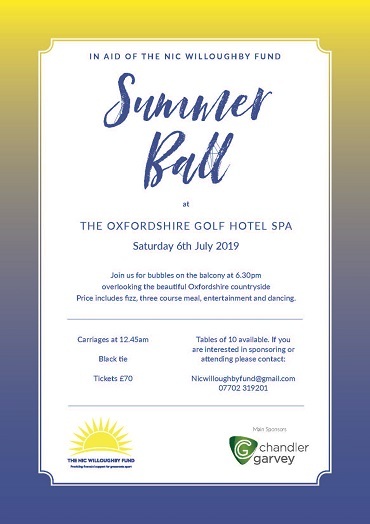 We are delighted to be sponsoring the Summer Ball, in aid of the Nic Willoughby Fund. 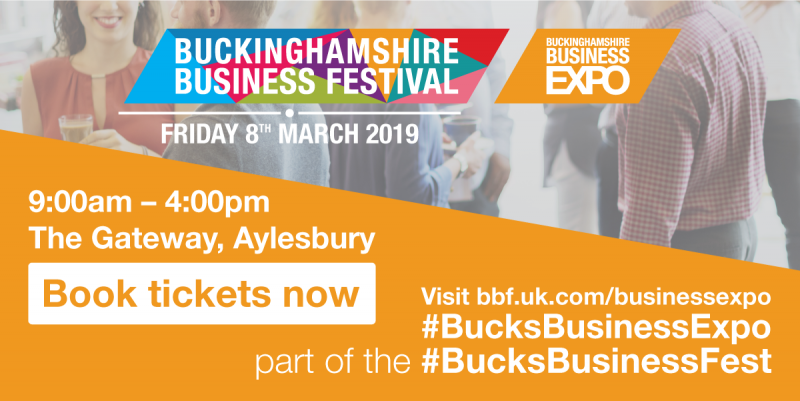 Come and see us at the Buckinghamshire Business Expo on 8th March – Joanna Kearvell, Divisional Director, Head of Occupier Services is hosting a workshop – How to Ensure Your Business Premises Boost Your Productivity. Our Facilities Management department now has a shiny new van! 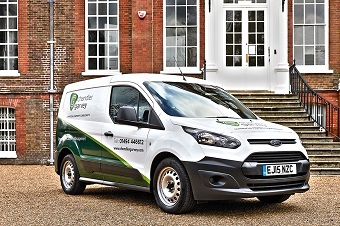 Richard Muirhead, our Facilities Manager, will use the van for visiting sites and buildings to undertake a wide range of inspections in connection with the many estates and properties we manage across the region. Facilities management has become an increasingly important part of the property management service we offer. With so much regulation covering property ownership it is essential to undertake regular health and safety inspections, but regular inspections also create strong tenant relationships and looking after the property/estate environment can have positive benefits in terms of the value of the asset. Keep an eye out for our man with a van. For the first 3 people to take a selfie of themselves with the van, we will make a £50 contribution to the charity of their choice. 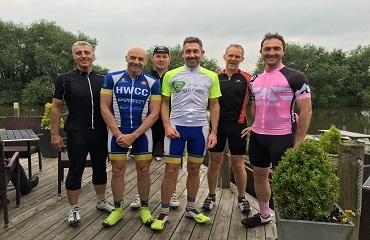 We are delighted to welcome some new members to our team this New Year. 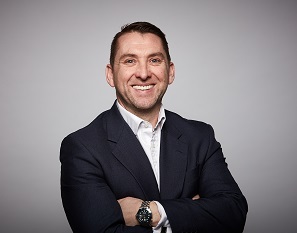 Gerard Barry has joined as a Divisional Director in the Agency Department, based in High Wycombe, covering the whole of the Thames Valley area. 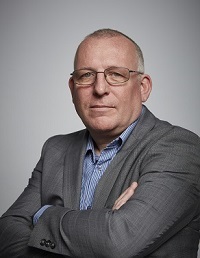 Gerard is well known in the agency market and has many years of experience working in London and the South East, with firms like Altus Group and Lambert Smith Hampton (where he was Head of Office Agency). James Garvey (my son) has started as a Commercial Agent. 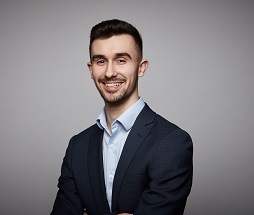 James is starting his career in commercial property, although has experience of the residential lettings market. He will be working with Gerard. We now have a young Chandler and a young Garvey in the business! 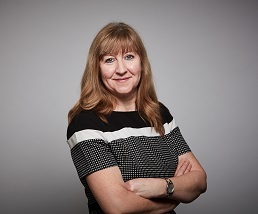 Sharon Jephcott has joined the firm as the Agency Department admin co-ordinator and office receptionist. 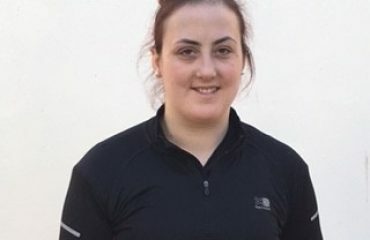 Sharon has worked for the Guinness Trust for many years and has a high level of experience working with the senior management team and will be a real asset to the business. …And the winner is Jennifer Amaral from Reed Recruitment High Wycombe, who successfully found the 3 hidden Santa hats within our website. 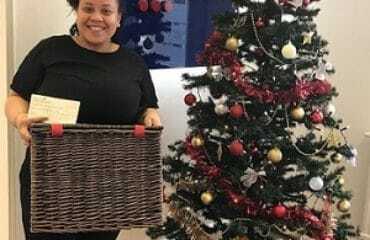 Jennifer has chosen the Wycombe Homeless Connections charity and will present them with a cheque for £500 as the prize from the competition and has won herself a fabulous Christmas Hamper. 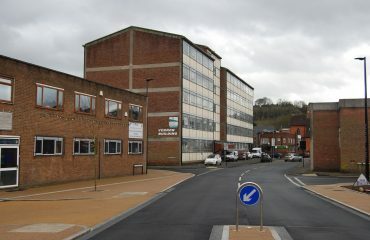 We have now started to market The Curve, an exciting new office development in High Wycombe town centre. The Curve will provide Grade A workspace from 2,500 sq ft to 43,379 sq ft over 5 floors, with a distinctive and contemporary architectural design. With a “media space” feel, The Curve offers occupiers the opportunity to be fully connected; to the town centre retail and leisure facilities, to London with a fast train service to Marylebone (under 30 minutes) and to the wider world through excellent digital connectivity. Together with Blaser Mills Law, we are hosting a workshop offering practical and legal advice on how to deal with Lease Renewals. Can your offices compete with Google? The 2017 CoStar UK Commercial Property Investment Review reports that Commercial property investment soared across many of the regions in 2017, with the proportion of capital placed outside of London reaching a 10-year high in the fourth quarter. 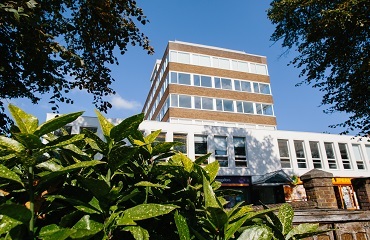 Arranged across two floors and split into two separate wings, Latimer House provides circa 22,000 sq ft of flexible modern accommodation with 83 car spaces offering an excellent parking ratio of 1:268 sq ft. The Fastest Start to a New Year Ever! 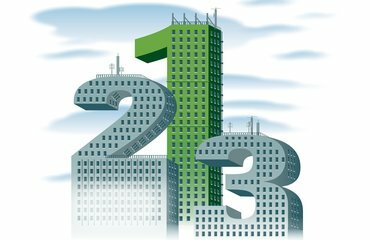 For commercial property consultants, the New Year can sometimes be disappointing, as investors/developers and occupiers in the business community are slow to put plans into action, even if they have a New Year’s resolution to invest/develop/relocate etc. This January has been noticeably different though, with very clear signs from the start that players in the sector were very keen to move quickly with plans and as a result we have had the busiest January that we can remember. We have brought more than 20 new instructions to the market, totalling over 50,000 ft² of office, industrial and retail space. 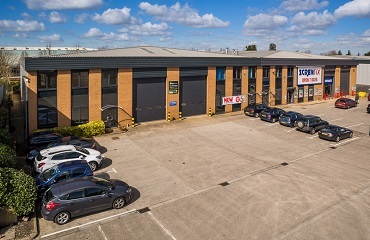 We have been appointed by several occupiers to relocate them and have already completed on some notable freehold and investment sales exceeding £10 million. Register with us to receive our monthly availability report. 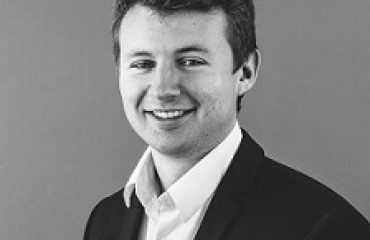 Jack Kempster, one of our Graduate Surveyors, answers this month’s query. 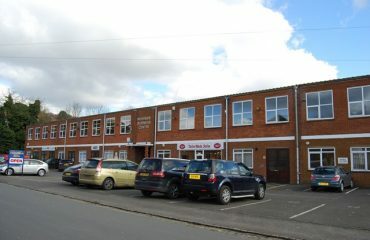 We have now let our last office unit in Chesham. 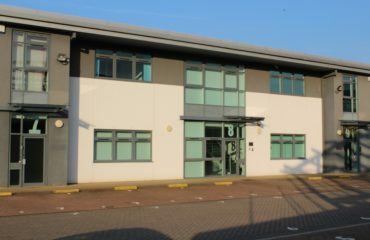 Unit 8, The Chess Business Park is a good quality office of 1,375 sq ft over ground and first floor, with 5 car parking spaces. 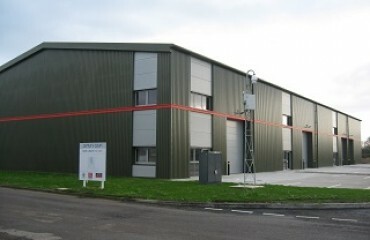 The Unit has been let with a five year lease at a rental of £20,625 per annum, exclusive. 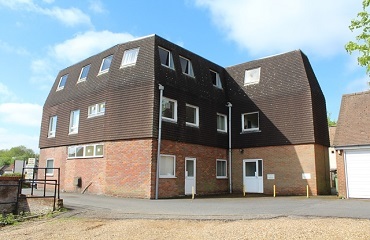 Freehold property, Unit P, Howlands Road, Thame, has recently been sold close to the asking price of £900,000. 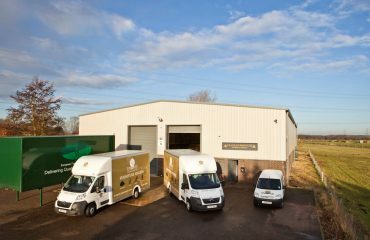 The property, which is 10 years old, provides 5,424 sq ft over ground and first floor, with a secure yard at the rear. 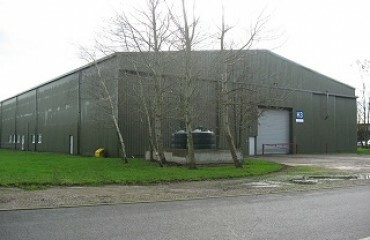 This rare industrial freehold unit has been recently sold in Aylesbury. The property comprises 6,085 sq ft over ground and first floor and was sold close to the asking price of £575,000. Read all the latest news here. Chandler Garvey has successfully let 17 White Hart Street to a local patisserie manufacturer where they have signed a new 15 year lease to set up their first retail store. Fit out works are under way, with an expected opening date in August. 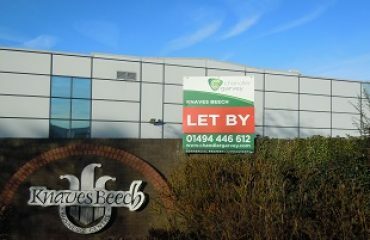 All business units at the Riverside Business Centre have now been let since the beginning of this year. 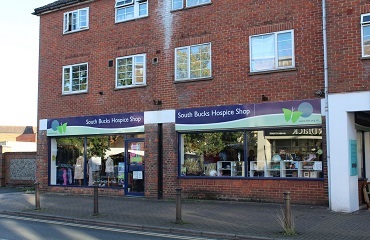 We have successfully let the Vernon Building since the start of the year , resulting in a shortage of stock in the area. 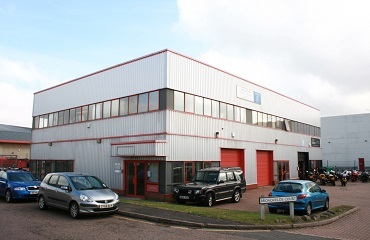 Alan Chandler has successfully negotiated the sale of Unit 8, Corinium Industrial Estate, Raans Road, Amersham. The unit of approx. 7,392 sq ft was sold for around £770,000. 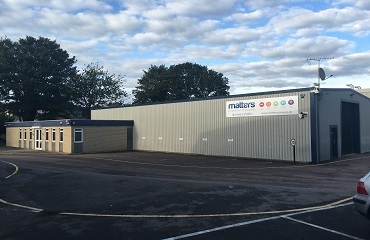 Gullets & Sons, contractors/developers from Chesham bought the acre site on the Chess Business Park several years ago and have developed various units. 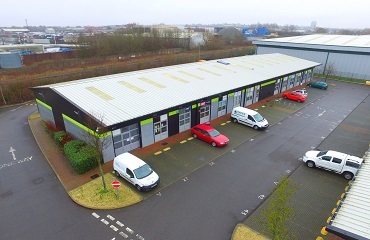 Units 12 & 13, 1,393 and 1,191 sq ft respectively, have both been recently sold to separate buyers with the sale price in the region of £270 per sq ft for each unit. 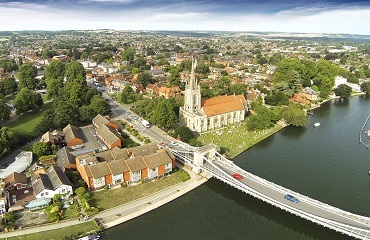 For all the latest Commercial Property news in Marlow, take a look at our latest Newsflash. 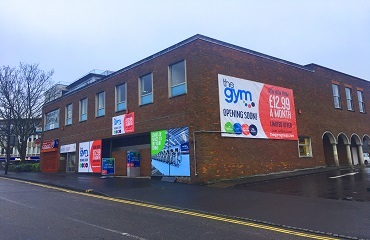 A national gym company has taken 16,000 sq ft of accommodation in Castle Street, High Wycombe. Planning permission has been granted for a change of use for the first floor of the former Woolworths store to become a modern gym with street level access off Castle Street, due to open in Spring 2017. Patrick Mellors of Chandler Garvey commented “We are delighted to have secured a lease with The Gym Group Plc for our clients. 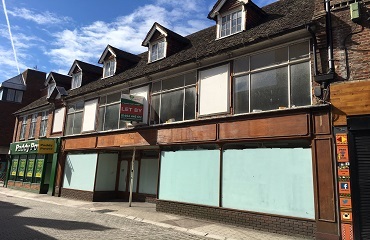 This is one of the biggest lettings in the town in recent times and is a real boost to the town centre, offering 24/7 access”. 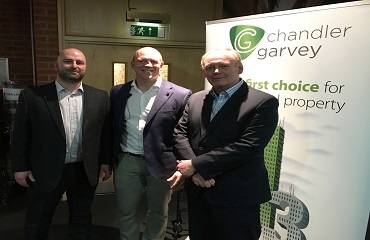 We were delighted to be a part of the Evening with Mike Tindall event that Scannappeal hosted last week and are pleased to report that they raised over £2000 for their Cancer Fighting Fund Appeal. 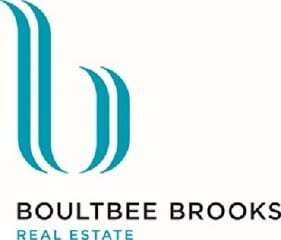 Register with us to receive our monthly property availability report. Martin Somers, Divisional Director at Chandler Garvey, answers your commercial property related questions. 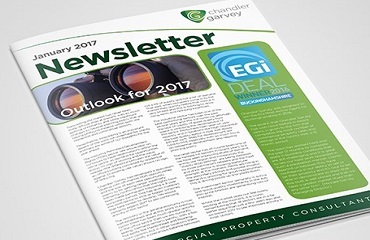 For news and views on the Commercial property market, read our latest newsletter. Take a look at the PDR highlights of deals done in the County. More people in Buckinghamshire and Hertfordshire are signing up for high-speed fibre broadband than ever before thanks to the work of the Connect counties programme. 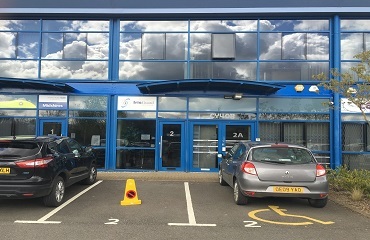 Chandler Garvey have let Unit B, Knaves Beech Business Centre, High Wycombe, to local business ATT. 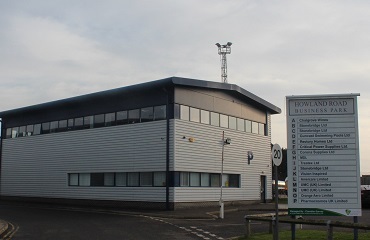 The 20,000 sq ft property is located in a prominent position on Boundary Road and the tenant has taken a sub lease until December 2021 at a rent of £160,000 pae. 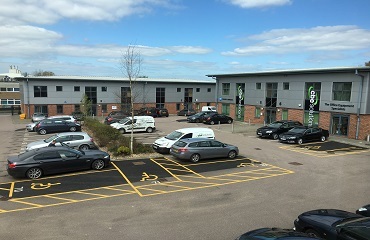 Space Business Centre, a development of 27 units located on the Space Business Park, Aylesbury are a modern construction with units ranging from 367 sq. ft. up to 908 sq. 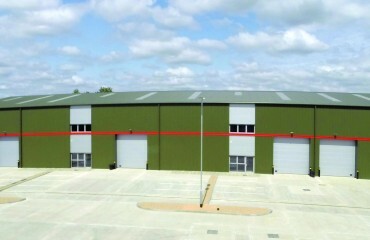 ft. and are fitted with a mezzanine floor. The total accommodation on the estate is 19,541 sq. ft. The freehold is owned by Aylesbury Vale District Council and Kingston Space Ltd are the long leaseholders, with over 130 years remaining. 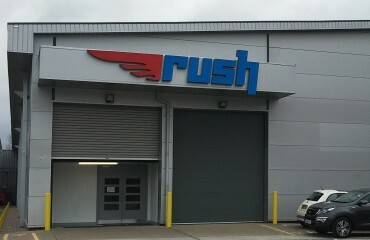 Units are available for sale from £64,000 plus VAT. 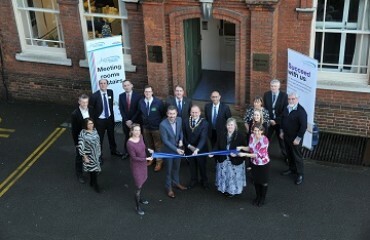 We have relocated our head office in High Wycombe to larger, fully refurbished premises in the Town Centre. Previously based in Thame House, we made ourselves homeless when we sold the 30,000 sq ft office property for residential development. The new premises at 4 Paul’s Row were being marketed by ourselves for the owner and it was an interesting discussion when we announced to our client that we had found a tenant willing to take the spaces! 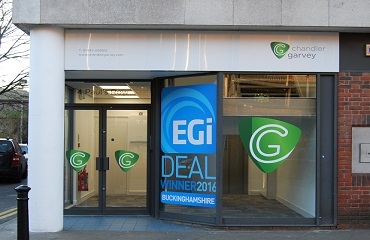 We have had an active 2016; winning the EGi Deals Competition for Buckinghamshire that recognises the firm that has done the most commercial sales and lettings in the county, has sold office property for residential conversion in excess of £20m and has been appointed on a number of high profile disposals including 100,000 sq ft of newly refurbished Grade A offices and land for development totally more than 50 acres. We have recently sold 249 Main Road, Walters Ash, a single storey building of 1,611 sq ft to a local dentist. 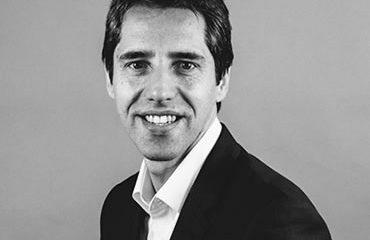 Martin Somers, Head of the Agency Department at Chandler Garvey commented “the market for freehold sales is very buoyant at the moment and we have recently completed sales on over 45,000 sq ft in the past month”. 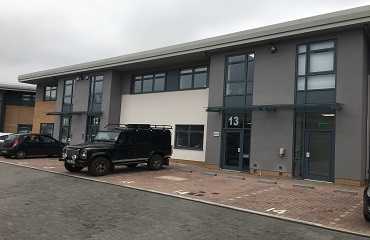 Chandler Garvey, along with joint agents, Savills, have recently completed a letting of Unit 11B The Merlin Centre, High Wycombe, on behalf of Aberdeen Asset Management. 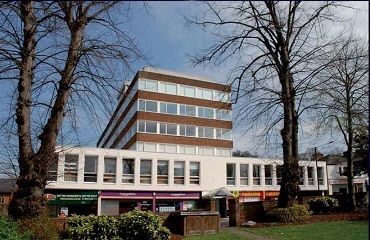 We have recently secured an off market deal for Thame House, Castle Street High Wycombe, which comprises 31,000 sq ft of retail and office space, to be converted into approximately 50 residential apartments. 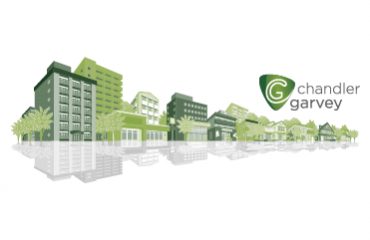 Michael Garvey, Managing Director of Chandler Garvey comments that this is a significant deal for the High Wycombe market that will deliver much needed town centre residential accommodation. 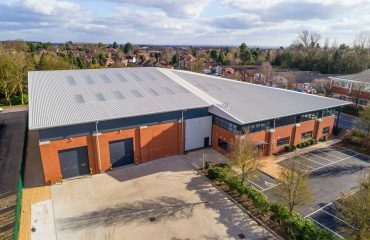 A 10,742 sq ft modern industrial unit to let / for sale at Wornal Park, Menmarsh Road, Worminghall, Nr Thame, a rural location, approximately 8 miles due west of Oxford City Centre. 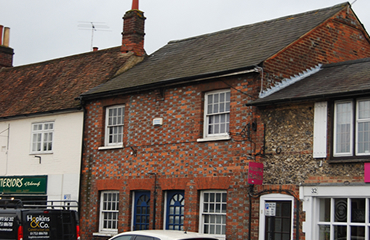 We have recently completed the lease on 76 High Street in Great Missenden. 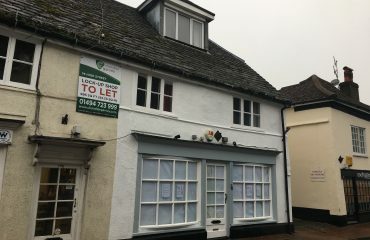 The property provides 996 sq ft of High Street retail space which has been let on a 5 year lease and the new tenants “White Lace and Butterflies” will be opening a new wedding and bridal shop. 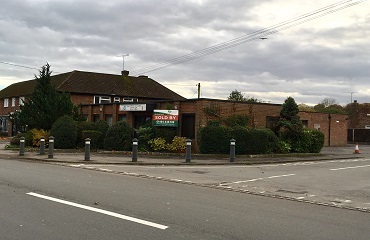 The property is located in a prominent position, close to the junction of Station Road. 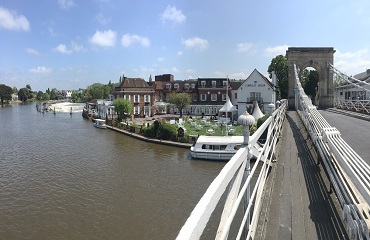 Beaconsfield, which has become very popular due to its location being a few minutes from junction 2 of the M40, therefore being in close proximity to Central London, Heathrow Airport and beyond. In addition, Chiltern Railways runs a very fast and efficient service to London Marylebone and Birmingham Snow Hill. 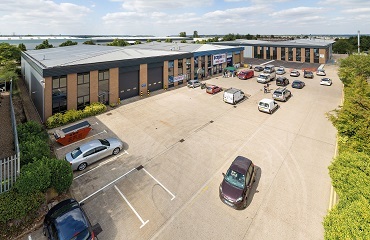 Chandler Garvey have recently sold a rare virtual freehold property on the Midshires Business Park, Aylesbury. Chandler Garvey to host a seminar, in association with Bucks Business First. Chandler Garvey take pride in the positive feedback received as we reach our first anniversary of our Marlow office. 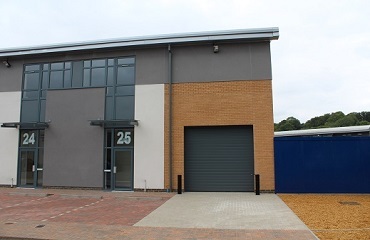 Chandler Garvey acquire high quality office space for Marlow business, Thomas International. 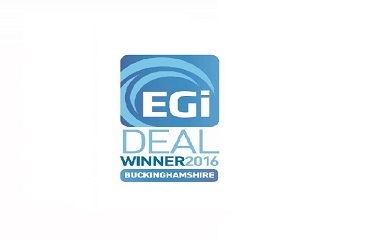 Chandler Garvey are delighted to announce that they are winners of the EGi Most Active Agent for Buckinghamshire 2016. 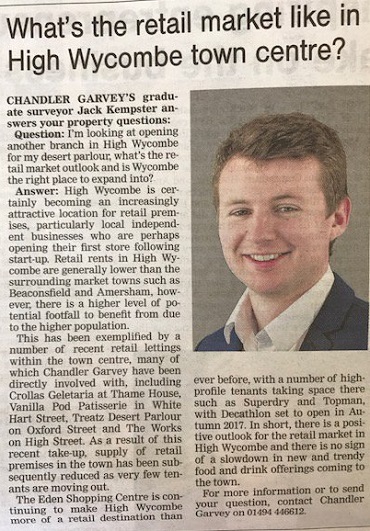 Chandler Garvey can confirm that Charles Tyrwhitt Men’s Tailors are to move to the High Street, Marlow. 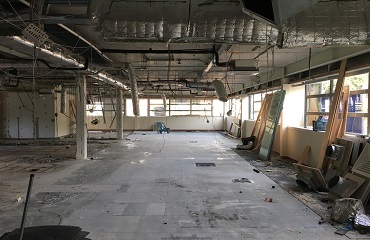 Chandler Garvey is involved with 4 major office refurbishment schemes that will deliver circa 90,000 sq ft of new Grade A office space to the market. 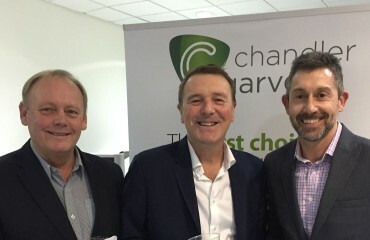 Take a look at the latest edition of the Chandler Garvey newsletter for our news and views. 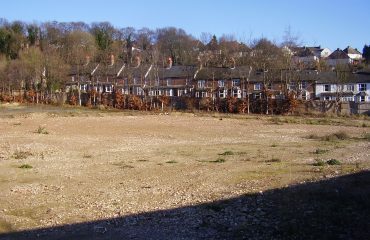 This 1.56 acre plot at Asheridge Road, Chesham has recently been sold by Chandler Garvey. The UK Space Agency is investing £4.12m in a National Propulsion Test Facility at Westcott, near Aylesbury. Great to see the extensive refurbishment underway at St. John’s Place, High Wycombe. 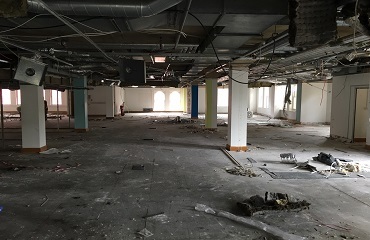 Grade A offices due in September 2016. 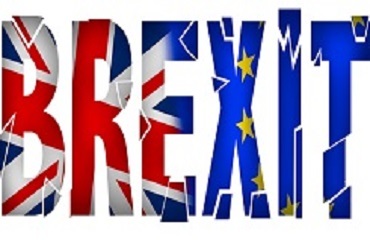 What impact will the decision to leave the EU have on the current commercial property market? 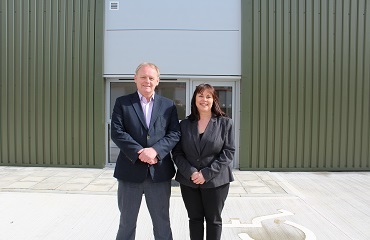 Earlier this year Chandler Garvey was appointed as one of the joint letting agents on Westcott Venture Park near Aylesbury. We are currently dealing with a significant number of rent review instructions, driven by increasing commercial rents and the restoration of confidence among landlords, following the last recession and the difficult years that followed. 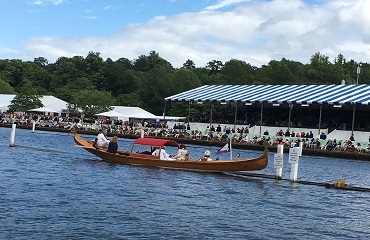 We recently joined the Vital Property Solutions team, when they hosted a boat at the Henley Regatta. 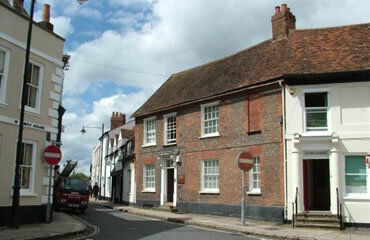 Chandler Garvey are busy doing lettings and sales of retail properties in the town centre. A major milestone has been reached in the rollout of superfast broadband in Buckinghamshire, providing broadband coverage for 90% of homes and businesses in the county on time and under budget. As founding members of Bucks Business First, we joined them to celebrate the awards last week. 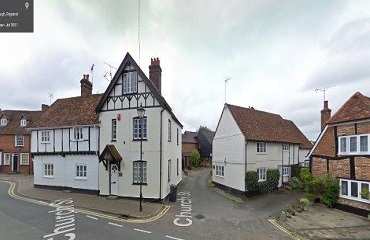 St John’s House, Princes Risborough recently purchased for conversion to residential. Bridge House, Great Missenden has recently been sold in excess of the asking price. PDRs allow certain building works and changes of use to be carried out without having to make a planning application. Michael Garvey recently presented at the Buckinghamshire Broadband – The Final 5% event. 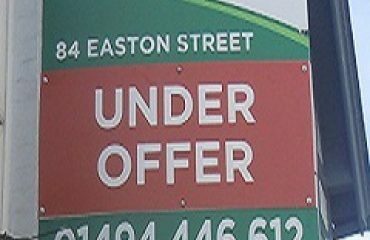 Thanks for all your help, it was refreshing to deal with a property agent who was professional and down to earth, rather than chasing the deal. Westcott Venture Park is attracting a diverse range of tenants. Listen to Michael Garvey explain why Bucks is a great place to start and grow a business and why businesses would benefit from relocating here. 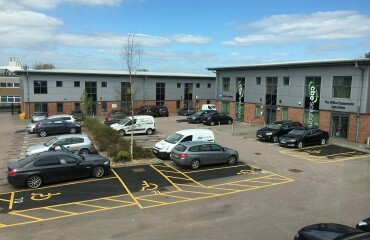 2 more suites let on Anglo Office Park. 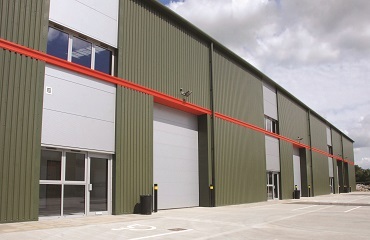 Chess Business Park Units now all sold. 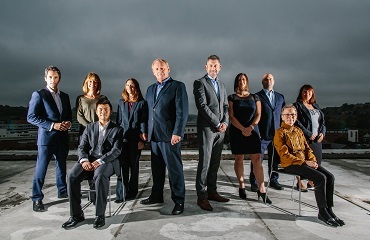 Chandler Garvey have received instructions from Rockspring to become one of the marketing agents for 29,500 sq ft.
Chandler Garvey have received instructions from Rockspring to become one of the marketing agents for 14,000 sq ft. 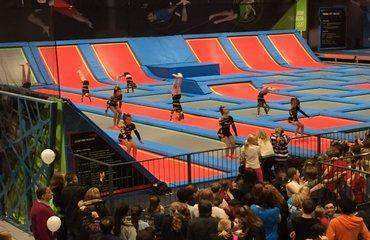 Rush offer an array of jumping experiences, from open jumping, kids parties, corporate events and teenage disco nights to fitness classes and dodgeball. We have used the services of Chandler Garvey for well over twenty years. They combine an efficient professionalism with friendliness and approachability and are highly knowledgeable about the local property market. 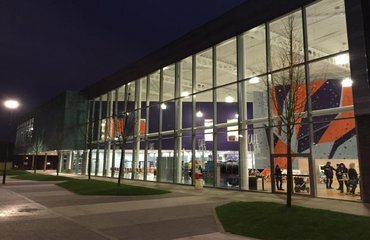 The long-awaited Wycombe Leisure Centre opens today. Avoid making costly mistakes when looking at commercial property leases. Attend this vital event run by Michael Garvey. Listen to our MD Michael Garvey discuss his involvement with the BFF, don’t miss Buckinghamshire Business First every Monday evening from 7. 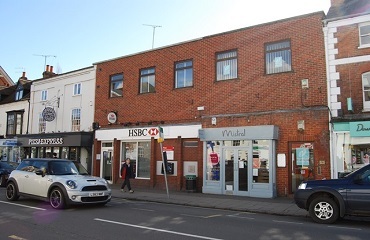 Alan Chandler of Chandler Garvey (Aylesbury) has successfully sold this small property portfolio comprising; two offices in Stone, and another office in Temple Square in Aylesbury old town.